Don’t you wish sometimes you could discipline your skin or give it a bad performance review, and have it shape up, regain elasticity and be blemish free? Me too. 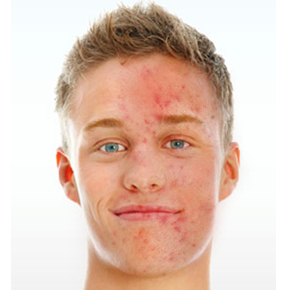 When I was younger, I was told it was just normal acne and that it would clear up as I got older. I took comfort in that because nothing the doc gave me or I found at the pharmacy ever seemed to do anything except make my skin crusty. Then I had crusty, peeling, blemished skin, instead of just blemished skin. Ugh. Well, I’m almost 40, and it is the rare day that I don’t have several spots on my face, some of them significant enough that high school tormentors would have termed them “headlights” or “third eye”. Thankfully, I have found several things that really help and I’m hopeful that eventually, I might actually be able to have a day, or a week, or a month, with clear skin. First, diet plays a big part. I love pepperoni pizza. My skin not so much. For everybody there are probably different triggers, and they can be as basic as corn, wheat or soy, which are pretty much in EVERYTHING. Keeping a food journal, and selectively eliminating foods from your diet can really help determine which things are triggers for you. Second, gut health is a big issue. Taking probiotics can make the gut healthier, and allow it to process foods better, reducing the amount or severity of dietary triggers. Third, daily cleansing is obviously helpful. 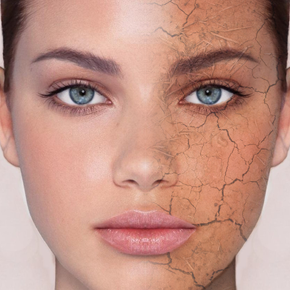 Pores can get clogged by natural secretions and sometimes become infected. Most of my small blemishes can be eliminated by using a natural skin soap. In the past, use of some other soaps, or shaving lotions, CAUSES a bunch of skin blemishes. Beeyoutiful’s Milk and Honey Facial bar is my current choice. Some other soaps dry out my skin or make it feel crispy. This soap is really great, moisturizing, nourishing, and gentle. Fourth, there is skin treatment. Right now I am using Beeyoutiful’s Blemish Bee Gone astringent for oily skin. At first glance it seems to be pretty expensive. But it lasts forever so it is a lot cheaper than things I have tried in the past. It has a number of ingredients in it to shrink pores, bring back skin elasticity and other good things. Like many natural products it can also be used for other things. Blemish Bee Gone can be used to soothe eczema, bug bites, and poison ivy. Lastly, I use Beeyoutiful’s Laveshmint Moisturizer. I love how smooth it makes my skin feel. It is so light, and makes my skin feel so fresh and tingly.